The Chinese phone maker has just sent out invites for the Mate 10 launch, confirming that this next-gen phablet would be unveiled in October, just as most recent rumors revealed. Huawei Mate 9 is one of the excellent handsets that never got the fame they deserved. In the US, it arrived a few good months after its initial launch and Huawei did not advertise it properly. Fortunately, it seems that the Mate 10 is not going to share that fate. 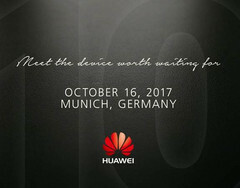 The invites that were sent earlier this week by Huawei to an event scheduled to take place in Munich, Germany, on October 16, show a big "10" in the background and come with a headline reading "Meet the device worth waiting for." Unfortunately, the technical details are also something we should be waiting for until mid-October. A few recent teasers from the company mentioned a full-screen display, better battery life than the Mate 9, as well as faster charging speeds. 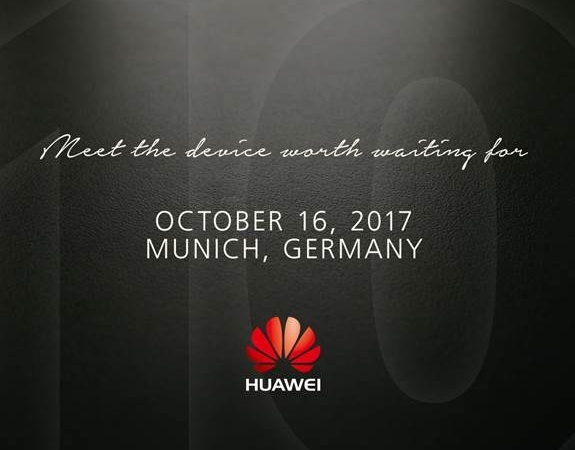 The upcoming Huawei Mate 10 is already advertised by the company's CEO as "an even more powerful product" than the next-gen iPhone. We just need to wait two more months and then see if this claim turns into reality or not.